The School of Business and Economics offers a Bachelor of Business Administration degree (with specializations in Marketing, Human Resource Management, and Accounting) and a Bachelor of Arts in Finance and Economics, providing students with a well-rounded theoretical foundation, partnered with the ability to apply these intellectual tools in today’s challenging and dynamic world of global business. We have options that enable you to differentiate your degree, study full-time or part-time, day or night. We boast small class sizes of 20-25 students, allowing you to learn in a student-centred classroom with personal access to your professor. Domestic and International high school graduates who meet the admissions requirements. International students are required to meet the admissions requirements specific to their country, and proof of English language proficiency. College graduates from any two- or three-year Canadian college diploma program. Students with diplomas in a business subject may receive greater specific transfer credits toward the BBA program in Brampton than those holding non-business credentials (see transfer credit info below). International students who are college diploma holders, university graduates, or university transfer students may be considered for admission and are reviewed on an individual basis after submitting official transcripts. Please contact brampton@algomau.ca for further information. University graduates from a degree program other than business. Transfer credit for university degree holders is assessed on an individual basis. University transfer students with a minimum overall average of 60 percent. At the discretion of the Admissions Office, conditions may apply. Transfer credit for university transfers is assessed on an individual basis. Mature students, defined as students who are 21 or older by December 31st of the year of admission and who have been away from formal studies for at least one year may be eligible for mature student admission. Only Canadian citizens or permanent residents are considered for admission as mature students. The University will consider previous school performance. In general, Diploma to Degree students studying full-time (15 credits per term) will take anywhere from four to seven terms to graduate with a four-year Bachelor of Business Administration Degree. The maximum number of transfer credits is 60. Note the numbered average in the above chart is based on a four point scale. Before applying, the Admissions Office can assess your transfer credits on an unofficial basis. Upon application, the Admissions Office will review your transcripts and provide you with a transfer credit assessment showing which courses you will need to graduate. You will receive personalized advising on course selection. Students with GPAs of 2.0 – 2.49 are eligible to apply but will not receive transfer credits. Credit recognition is decided by the Admissions Office for each individual student based on official transcripts. Please contact brampton@algomau.ca or call 905-451-0100 to discuss your options. The Accounting minor is designed for those who want to acquire the knowledge required to pursue a highly rewarding career as a professional Accountant. In Canada, the recognized professional accounting designations are now unified under the Chartered Professional Accountant (CPA) banner. The specialized knowledge and abilities gained through Algoma’s BBA degree with a minor in accounting provides graduates with the solid academic foundation required to pursue this designation. Specific courses in this subject area may also be applied toward CPA certification, meaning you may be exempt from taking certain courses while pursuing this highly valued designation. In fact, the CPA will recognize 22 of our courses to replace the CPA preparatory courses. Further details can be found on the CPA Ontario website. Finally, Algoma’s accounting graduates have traditionally achieved very high examination success and employment rates in their chosen field. 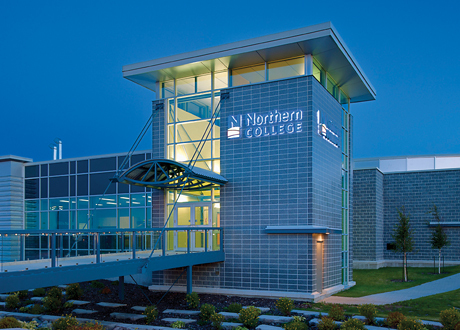 While under the prior system, Algoma grads boasted a 95% success rate on the Chartered Accountancy exam on their first attempt and a 100% success rate within two years. This examination is now referred to as the Common Final Examination (CFE). Evaluate ethical, social, civic, cultural, and political issues as they relate to the environment of human resource management. Marketing plan development including marketing objectives, marketing mix, strategies, budgetary considerations, and evaluation criteria. Our Marketing minor prepares students for a wide range of roles in the competitive industry of Marketing. Some of these roles include, but are not limited to: Advertising Specialist, Art Director in advertising, Wholesale/Retail Manager, Marketing Officer, Marketing Coordinator, and Promotional and Communications Officer. Are you a student who is interested in acquiring basic knowledge and skills in business to enter or re-enter the workforce quickly? This one-year Graduate Certificate program might be for you. An accounting specialization as part of your BBA studies will give you a head start on several of these designations. Many of the specialization courses are also on the required course list for these programs. Please see the appropriate organization for its exact requirements. Aside from the unique programming opportunities, we are conveniently located in the heart of downtown Brampton. With the Brampton GO and Via station only steps away, students can take the train or bus to class. We also offer underground parking with direct access to our facilities, making this School of Business & Economics at Brampton accessible. We’re proud of our alumni, and we want to celebrate their successes and achievements! 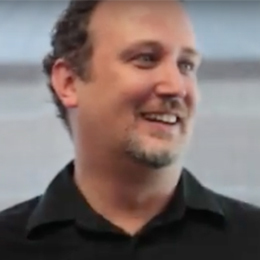 Take a look at this video to learn about Thomas Medland’s experience at the Brampton Campus. There were a number of factors that influenced Bobby Karmakar’s decision to attend Algoma U at Brampton. After completing an advanced diploma in Business Administration – Human Resources (co-op) from Centennial College, Karmakar embarked on a university degree. Initially focussed on a Bachelor of Business Administration (BBA) with a Human Resources specialization, after taking a number of marketing electives he made the decision to specialize in both Human Resources Management and Marketing. Karmakar also holds a certificate in Professional Writing from Centennial College and a certificate in Creative Writing from the University of Toronto, School of Continuing Studies. Karmakar reflected on his decision to enrol at Algoma University, “When I was in my last semester of college, I just turned 20 and my mom and step-dad, who live in Brampton, were the ones that said to go to university since they believed I would have more opportunity if I obtained a degree alongside my college diploma.” They also believed Karmakar was too young to enter the job market and he agreed. Intimidated by the size of larger universities in the Greater Toronto Area, for Karmakar, Algoma University seemed like a perfect fit. After speaking with Richard Belton, an Admissions Advisor from Algoma U at a university fair, Karmakar attended an open house at the Brampton campus and the rest, as they say, is history. Karmakar, who has resided in Toronto his whole life, frequently travelled to Brampton on the weekends to visit his mother and step-father. Algoma University was the right size and it was ideally located for Karmakar who still finds time to visit the campus, as he works nearby. “When I did cases and wrote marketing or business plans for evaluations, I found it exciting and fun. Now, I’m able to actually implement that at my workplace with my team and collaborate just like I did in school,” acknowledged Karmakar of how Algoma University prepared him for his career. Karmakar recounted his experience representing Brampton at the 10th Annual Northern Ontario Business Case Competition as one of his most memorable moments. He also paid tribute to several professors and classes that helped him to find both academic and professional success. 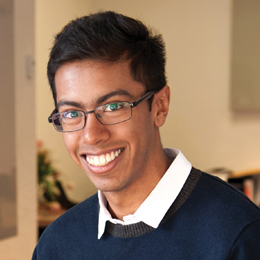 Looking to the future, Karmakar continues to grow his professional network and hopes to become a published author. Karmakar also has high hopes for Algoma University. He would love to see continued expansion of both campuses and the addition of continuing studies, which served him well in his professional development. Karmakar described his experience at Algoma University as, “An inclusive and challenging journey that was worth every moment. I wouldn’t have had it any other way. Okay, maybe there could have been things that would have been done differently, but I’m a big believer in things happening for a reason. My experience was one of them, and lead to securing my current employment position,” where he continues to proudly represent himself and Algoma University. Samuel Jok Awan Chiengkuach has found refuge in Canada. The 36-year-old has lived in Canada since 2000, after fleeing the continent of Africa and civil war, which displaced him and his family when he was only a young boy. Chiengkuach was born in South Sudan. From his earliest days, he yearned to be educated, and learned lessons beneath large, billowing trees in his native country. “We were often interrupted when the blackboard was occasional[ly] blown away by a strong wind,” he tells the Class of 2016 at this year’s Algoma U at Brampton Convocation ceremony. From Grades One – Three, Chiengkuach learned beneath the trees. However, his education was interrupted in 1983 when the Khartoum Government began carrying out aerial bombardment in the region, causing the eruption of the Second Sudanese Civil War, one of the longest civil wars in history. However, war erupted in Pochalla and the town was captured by the Khartoum Government, forcing Chiengkuach to a new town called Narus. The journey to Narus was more than a 400-kilometre walk. In 1992, the war intensified and aerial bombardment was constant in Narus, forcing Chiengkuach to relocate to Kenya, where he began his Grade Five education. Unable to cope with the constant danger, Chiengkuach finally left Africa for Canada. “The amount of suffering for me and so many people was unthinkable and hard to explain, especially [because] war got many of us separated from our immediate families in our early age and so many lives [were] lost in just 21 years of conflict,” he recalls via e-mail. On 9 January 2005, the Comprehensive Peace Agreement, known as the CPA, was signed. Years later, on 9 July 2011, Sudan split into two separate countries, North Sudan and South Sudan, ending the civil war. 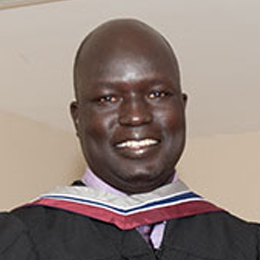 Chiengkuach attended Humber College in Toronto to earn his Accounting Certificate and then later his Accounting Business Systems Diploma, before enrolling in university. He first put his sights on a larger Southern Ontario university, but just days prior to the start of classes, Chiengkauch felt uneasy about the size of the university and his class schedule, which would interfere with his parental duties to his three children, Chiengkuach, Yom, and Aleer, and his wife, Viola. He instead enrolled at Algoma U at Brampton. He cites the “small classes, flexible schedule, and a small community of students, and above all the ‘Big Education’” as his reasons for choosing the smaller institution. Within just two years’ time, Chiengkuach earned his Honours Bachelor of Business Administration degree with specialization in Accounting and Human Resources Management. He built solid relationships while studying and was characterized as being a “people’s person”, always offering help to others and helping build a solid community at the post-secondary institution. He was also given the honour of delivering the Convocation Address at his graduation in the fall of 2016. Chiengkuach is currently employed with 3M Canada Head-Quarter in London, Ontario as a Vendor Payment Coordinator. He has worked as a Management Accountant, Community Accountant, and Chief Accountant with various employers in Ontario. 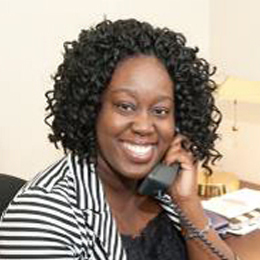 Having completed an Accounting Business Systems Diploma from Humber College, and working full time in her profession, Amanda Thomas came to Algoma U at Brampton, as a mature student enrolled in the Bachelor of Business Administration – General program. Amanda discovered Algoma U at Brampton, doing something that is very familiar to those living and working in the Greater Toronto Area: sitting in traffic. Idling behind a bus, Amanda noticed an advertisement for the University, immediately sparking her interest. Through the network she created at Algoma Uat Brampton, Amanda was offered the position of Manager, Marketing and Member Engagement with the Brampton Board of Trade. “Networking through Algoma U helped me obtain this career and has prepared me for greater things ahead,” she shared of what she referred to as the “Alumni advantage”. Citing the efforts of her Professors Jim Byrd, Seymour Stein, and Darren Deering, as well as Brian Leahy, Amanda enjoyed great success at Algoma U at Brampton, having found that same success in her professional career. To learn more about Amanda’s experience, take a look at this video! 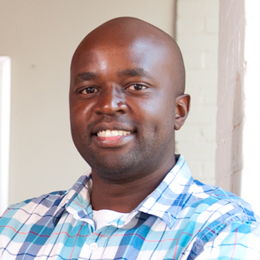 Born in Nairobi, Kenya, Francis Muli moved to Brampton in his teens. After years of travel and study, Francis earned a diploma in Business Finance from Sheridan College, later enrolling in the Bachelor of Business Administration program, minoring in Accounting, at Algoma U, Brampton. 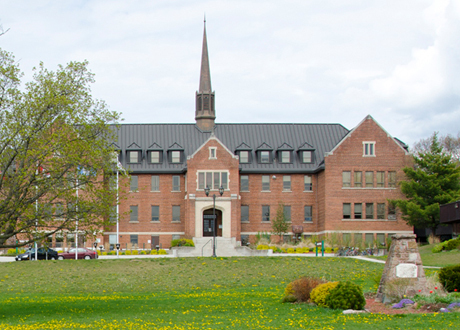 Three things attracted Francis to Algoma U at Brampton: convenience, cost and continuity. Convenience because it was very close to home, and cost because having paid for his education with a student loan, Francis wanted the best value for the money. Francis took full advantage of what he described as a world-class teaching staff and an interactive, welcoming campus at Algoma U at Brampton. Much of what he learned at Algoma U at Brampton has been directly beneficial to his professional experiences. Though it took a great deal of hard work on his part, Francis credits professors James Hicks, Peter Ostroski, and Kier Munn, for the role they played in his academic successes. Francis recalled the memorable opportunity to represent Algoma U at Brampton, at the Northern Ontario Business Case Competition in 2014 and the impact that experience had on his professional development. A year and a half after writing his last exam, Francis walked into his dream job as Financial Analyst at Freshbooks. Only the beginning of what will be a long and successful career, Francis is currently pursuing his CPA designation, with plans to continue his education in the MBA program of his choosing. Classrooms, labs, residences, food, the gym, library, and more are all within a two-minute walk. Everything is at your fingertips, ready for you to explore. You’ll be surrounded by natural beauty and a caring community of learners. Here, you can earn a Bachelor of Arts in Community Development or a Bachelor of Social Work.